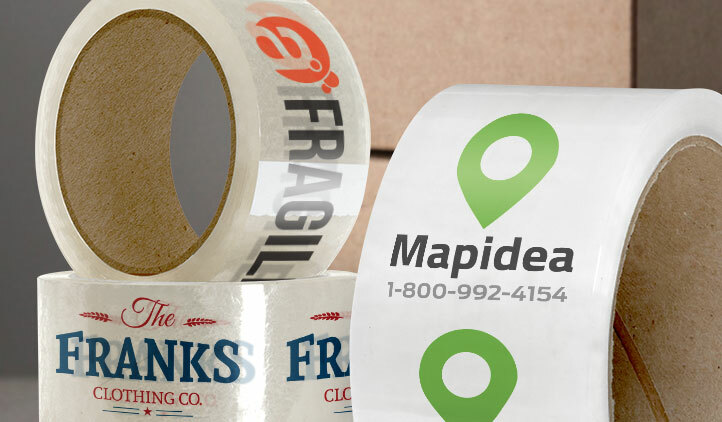 Make your brand really stick with custom branded packaging tape from StickerYou! Upload your logos, mascots, or mottos on either a clear or white background and start shipping in style. StickerYou’s high quality packaging tape is durable and waterproof and sure to secure all your packages. 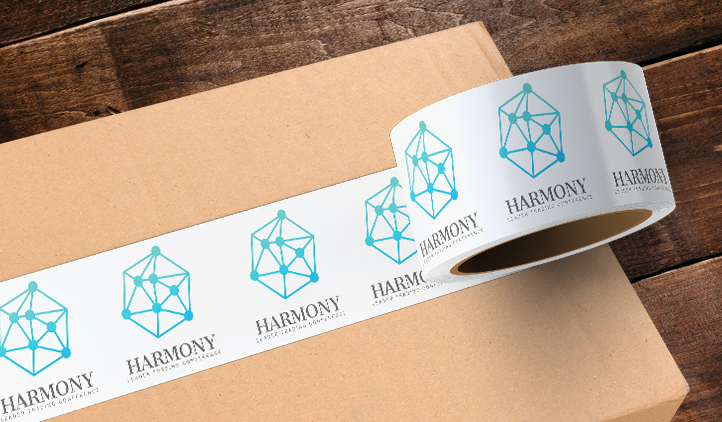 Leave your mark on every outgoing product and package with custom branded packaging tape from StickerYou! Our packing tape is printed on digitally with an advanced Pantone Matching System (PMS) that ensures every colour of your logo is as bold as you need it to be. Make your branding the first thing customers notice when they order from you! 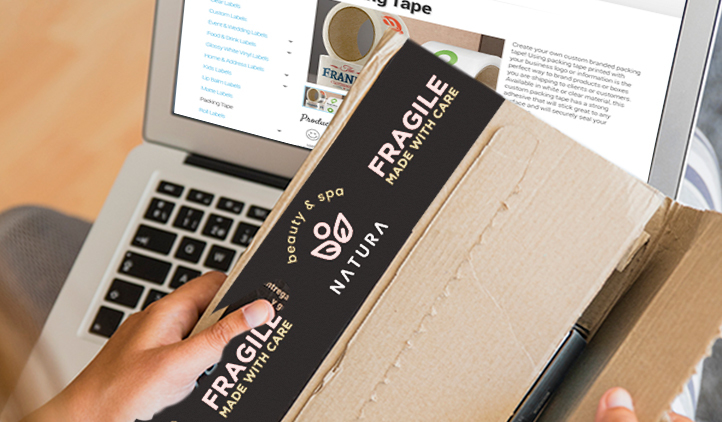 Custom branded packaging tape doesn’t just keep your products sealed, it’s also tells clients and customers that you pay careful attention to details in all aspects of your product or service. Packaging tape can also be printed with special handling instructions for any items that may be fragile or have special care directions. Our custom packaging tape can be made in 2 - 3 inches wide and 55 or 110 yards long, so you always get the perfect size for all your shipments. 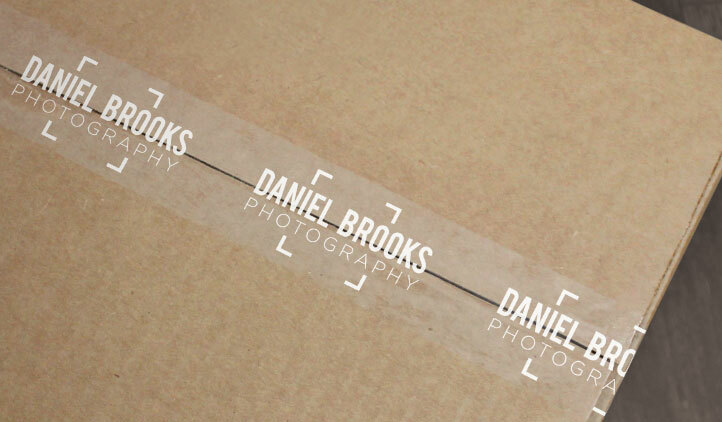 Your custom artwork or logos can also be printed on clear or white tape, ensuring your info is bold and sticks out. Make what matters stay stealed and make StickerYou your go-to for your custom packaging needs. A branded unboxing experience enables you to make receiving and unwrapping your product bigger than just the product itself. So how do you create a memorable unboxing experience for your customers? Here are a few tips and tricks from our team.